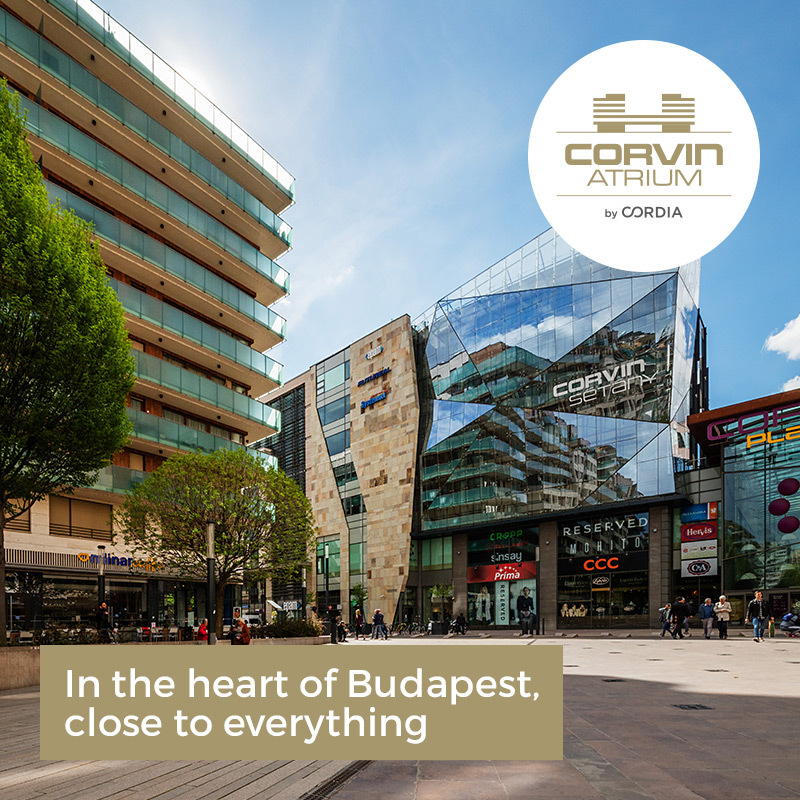 The Corvin Promenade is a modern, completely renovated area of the city in one of the most vibrant sections of Budapest, located on the intersection of the Grand Boulevard and Üllői Road. 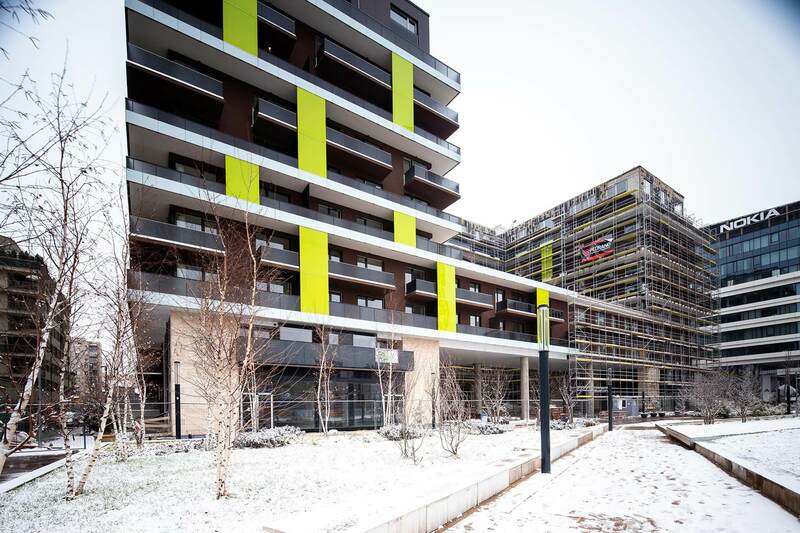 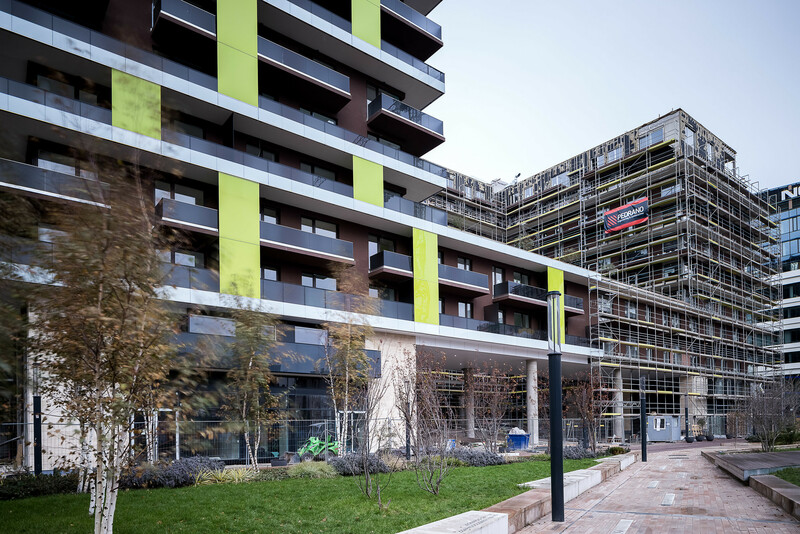 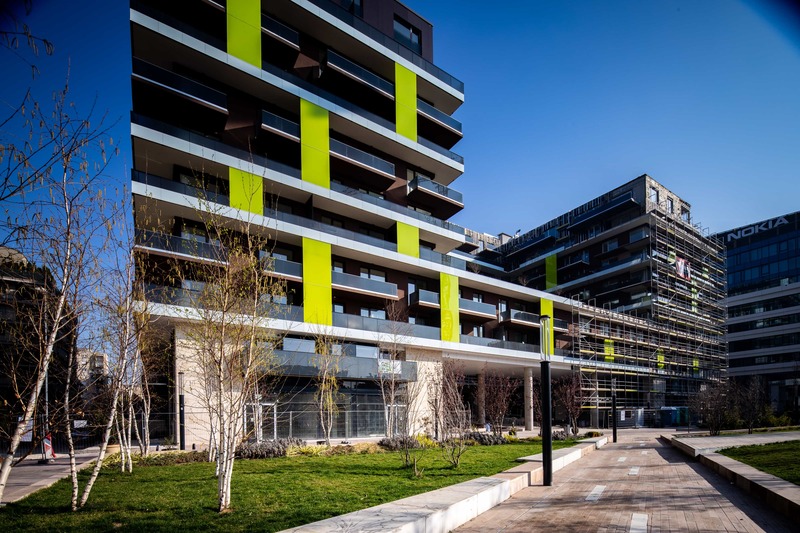 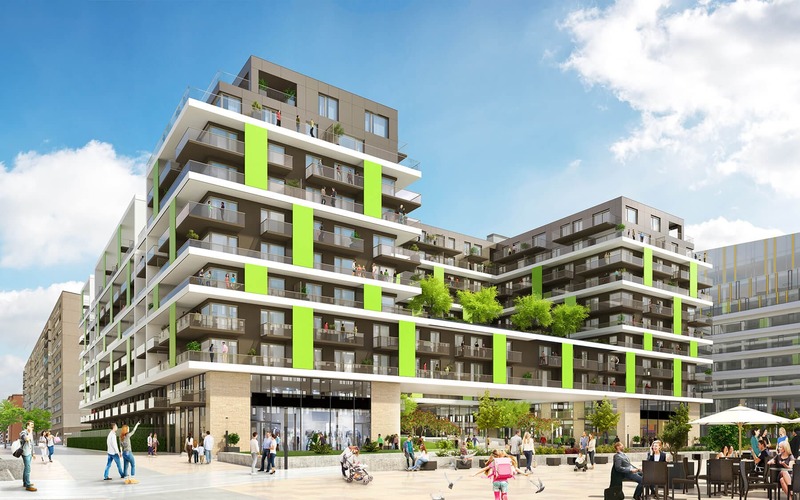 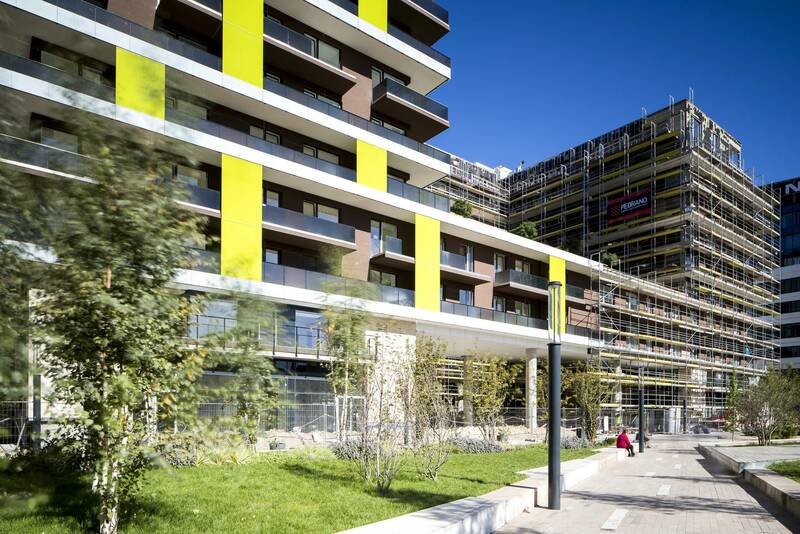 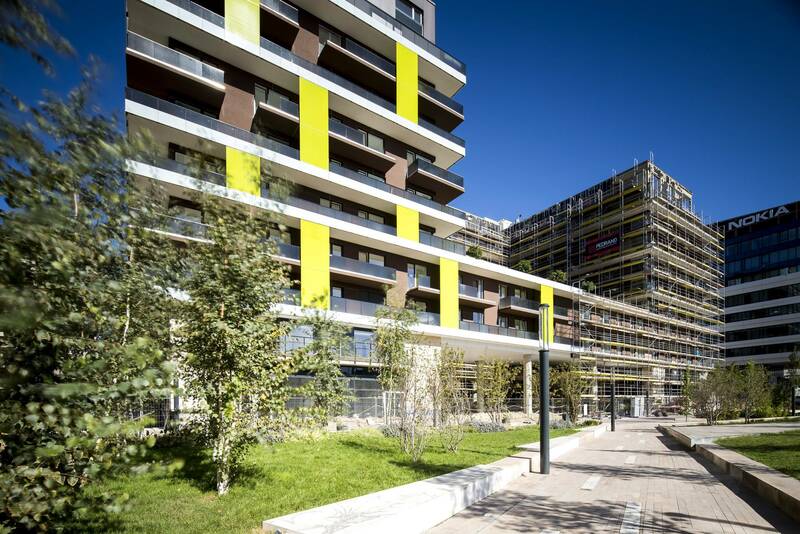 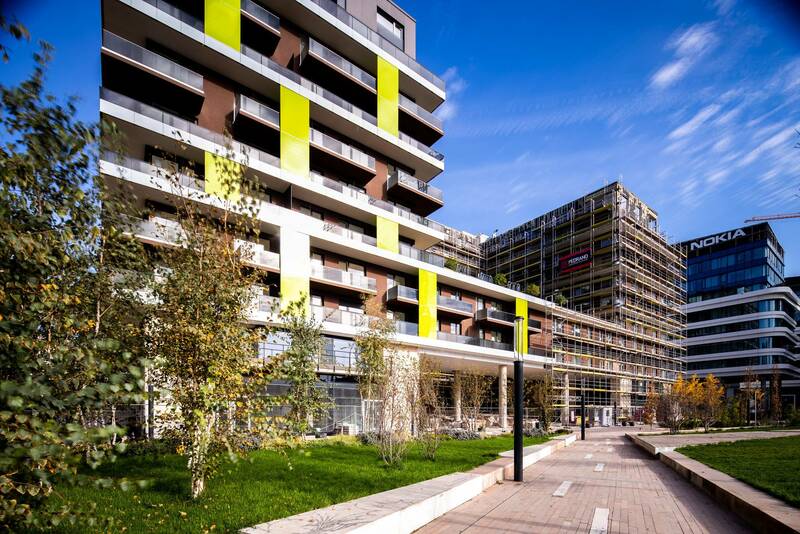 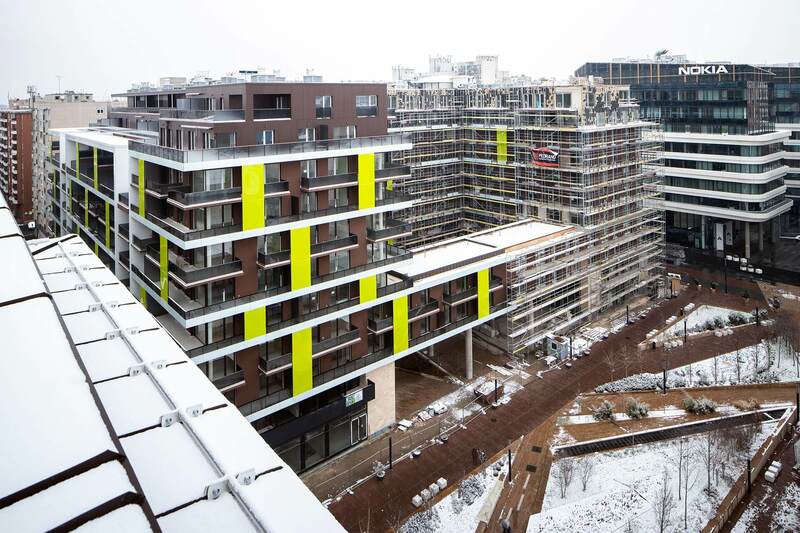 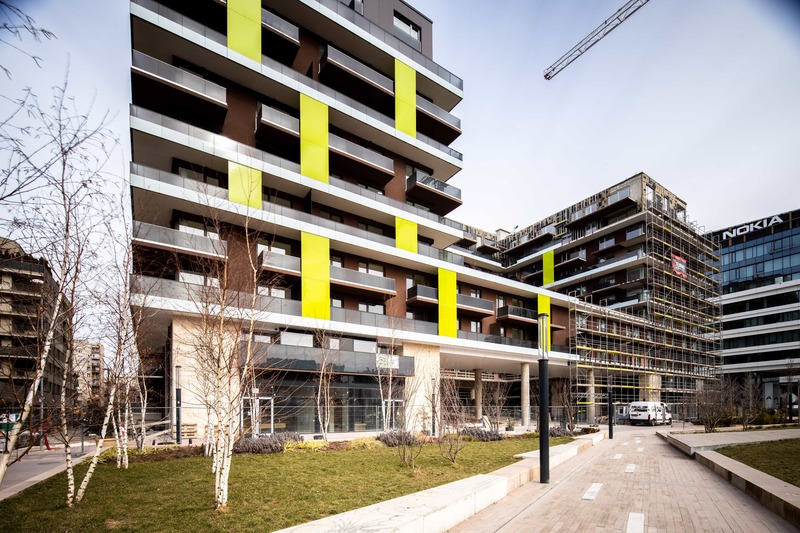 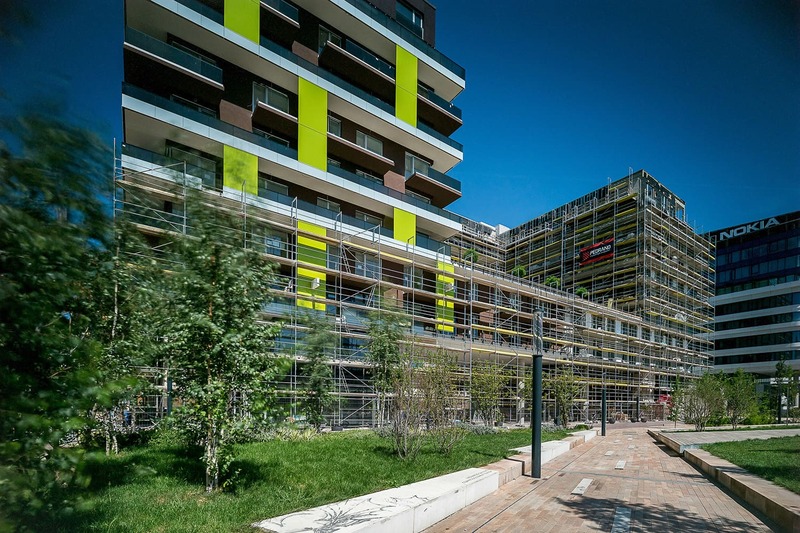 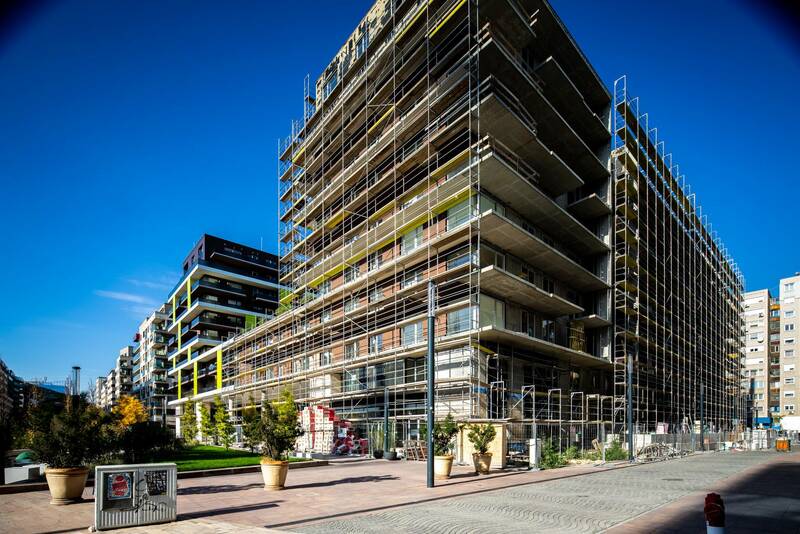 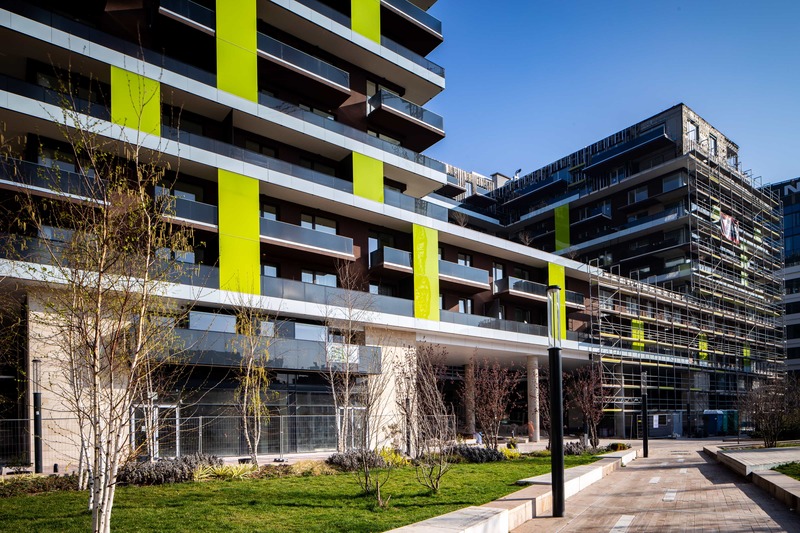 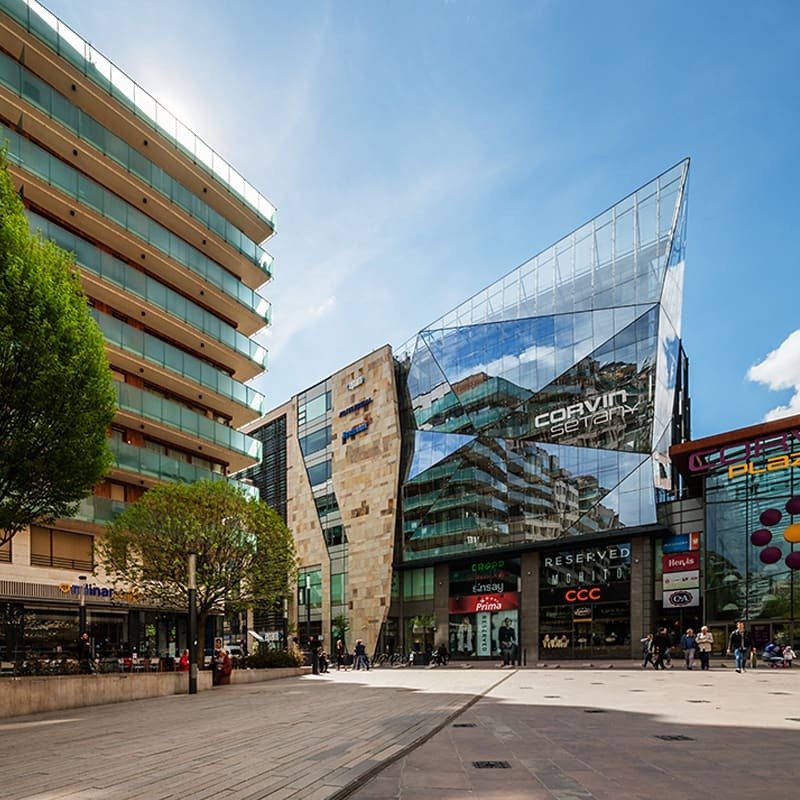 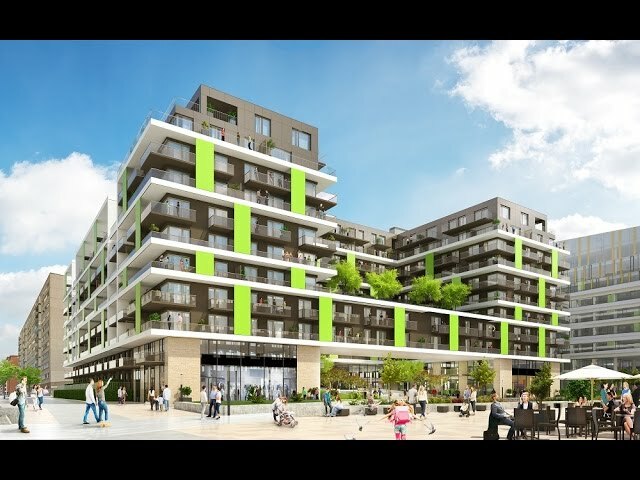 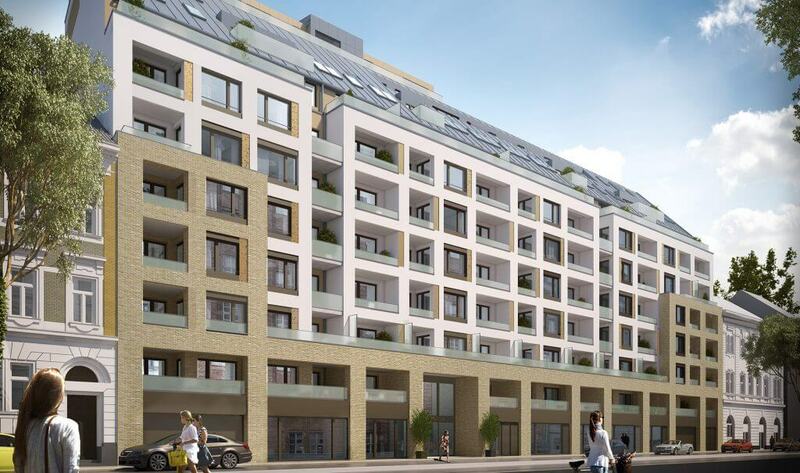 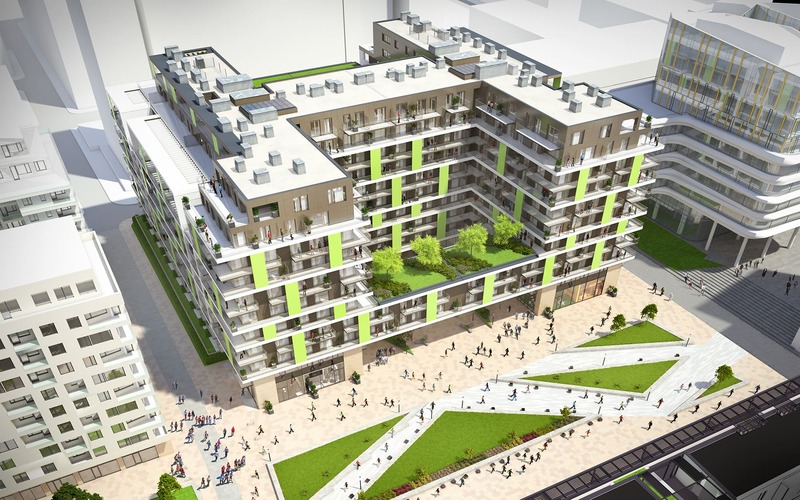 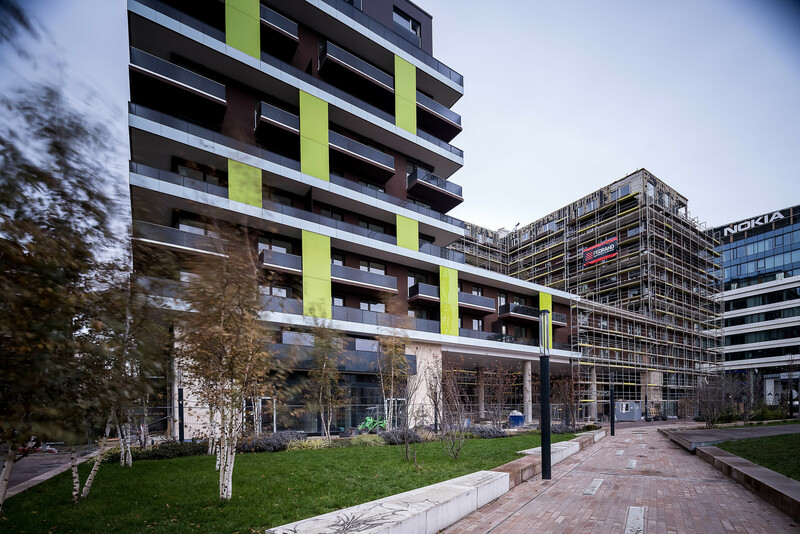 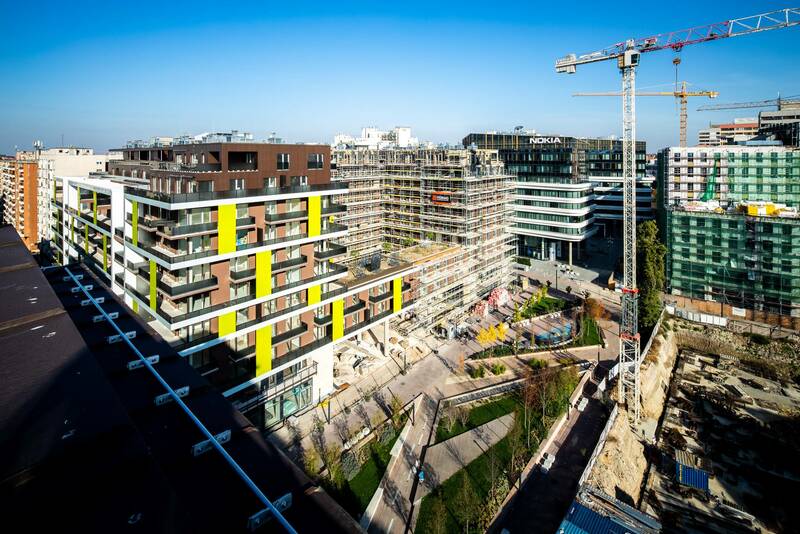 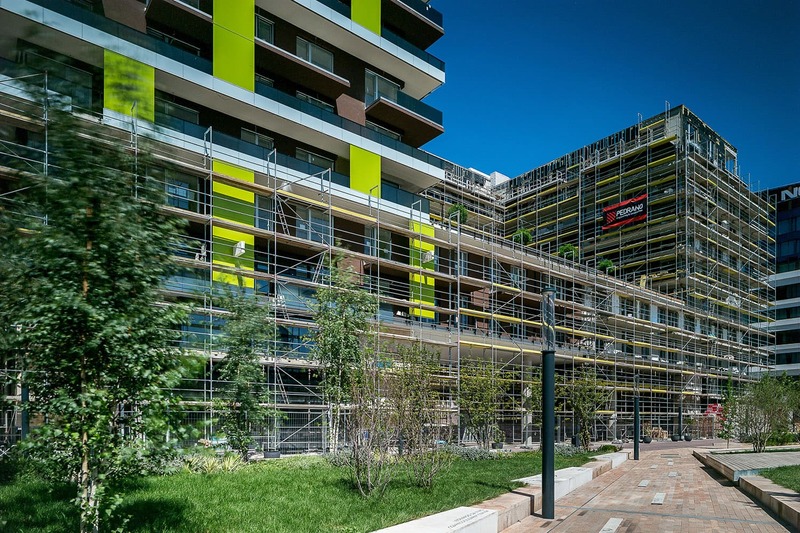 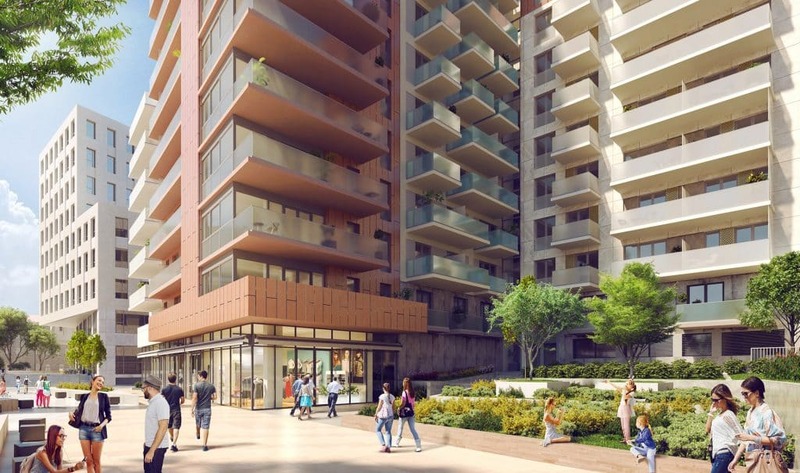 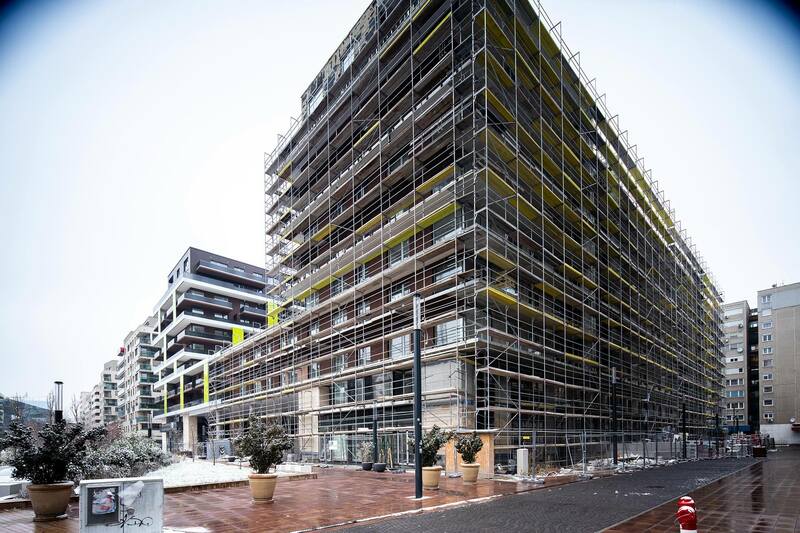 As well as stops for the 4/6 tram route and Metro 3, the carefully planned local area offers a wide range of services for residents of these newly built 8th district apartments to enjoy, including shops, restaurants, a gym, a swimming pool, theatres and a cinema. 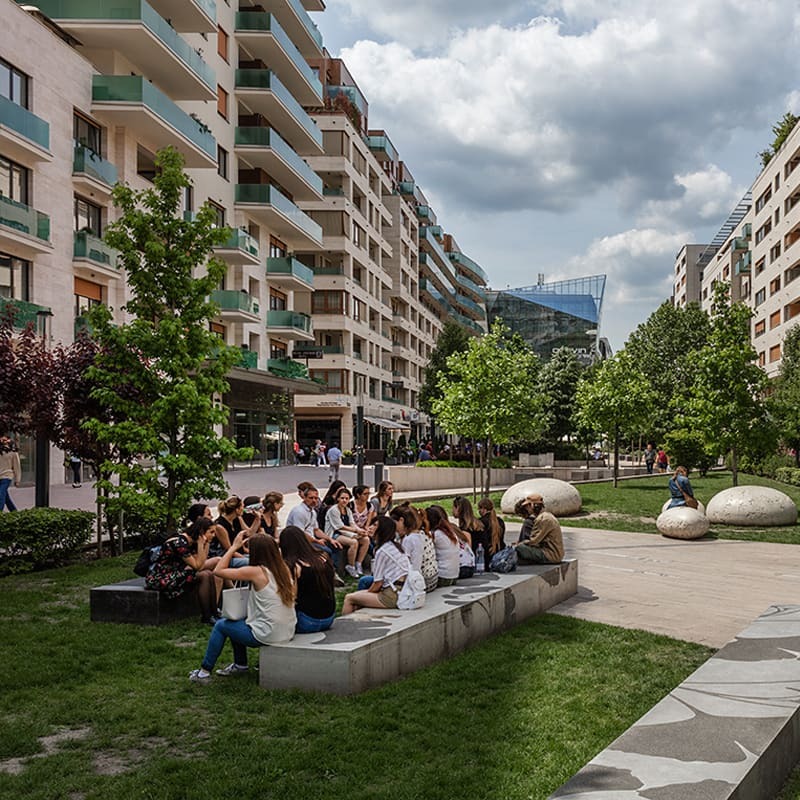 City centre residents often miss out on green public spaces. 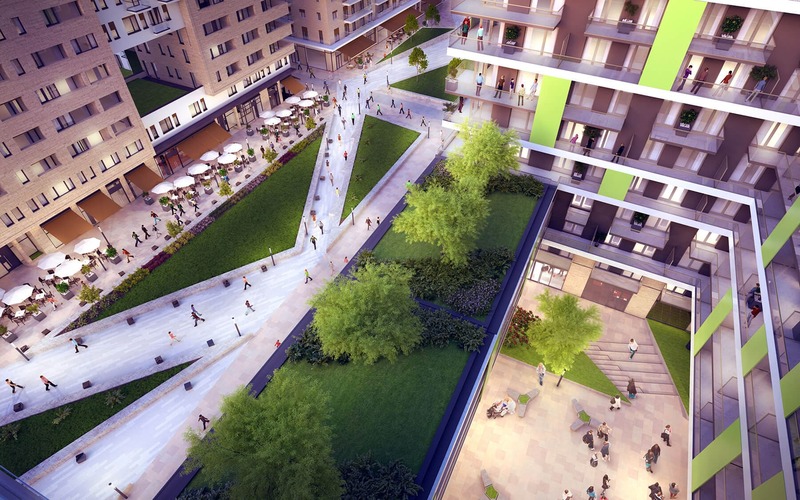 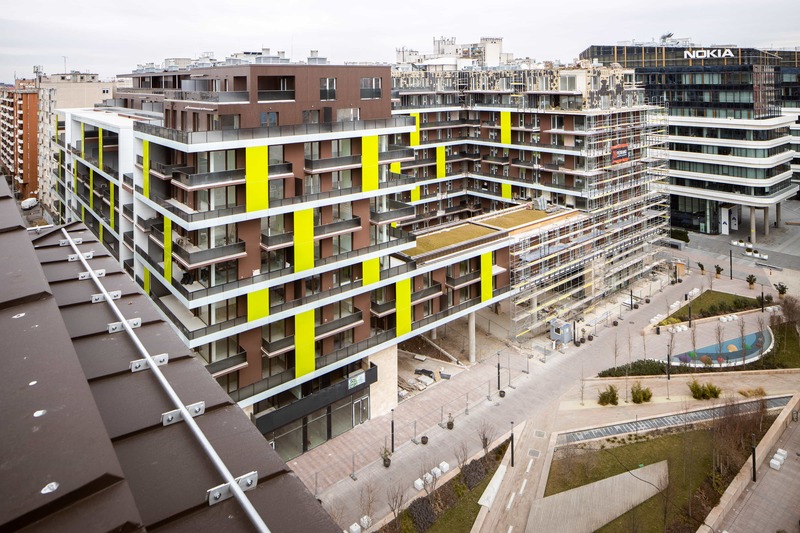 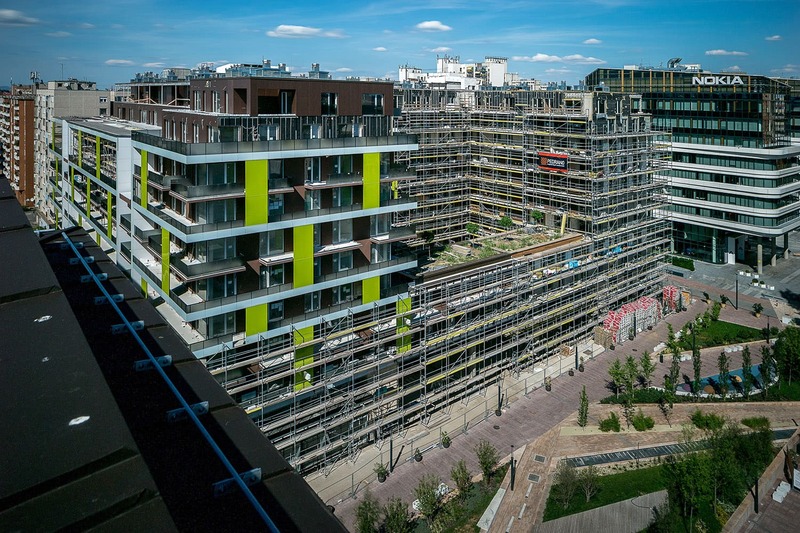 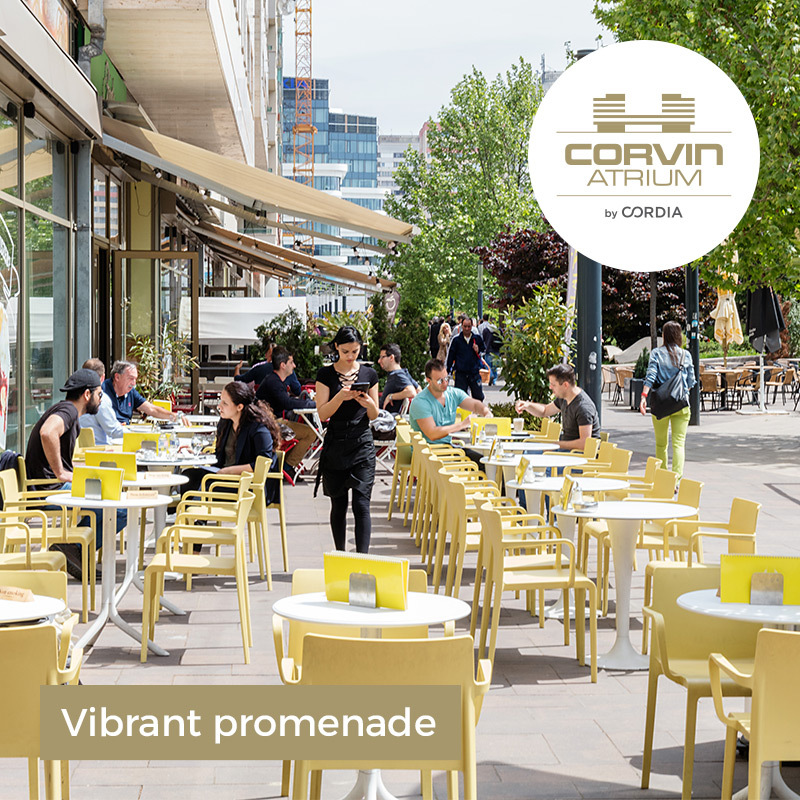 The Corvin Promenade was carefully designed to make sure the renovated quarter would have a high proportion of green spaces. 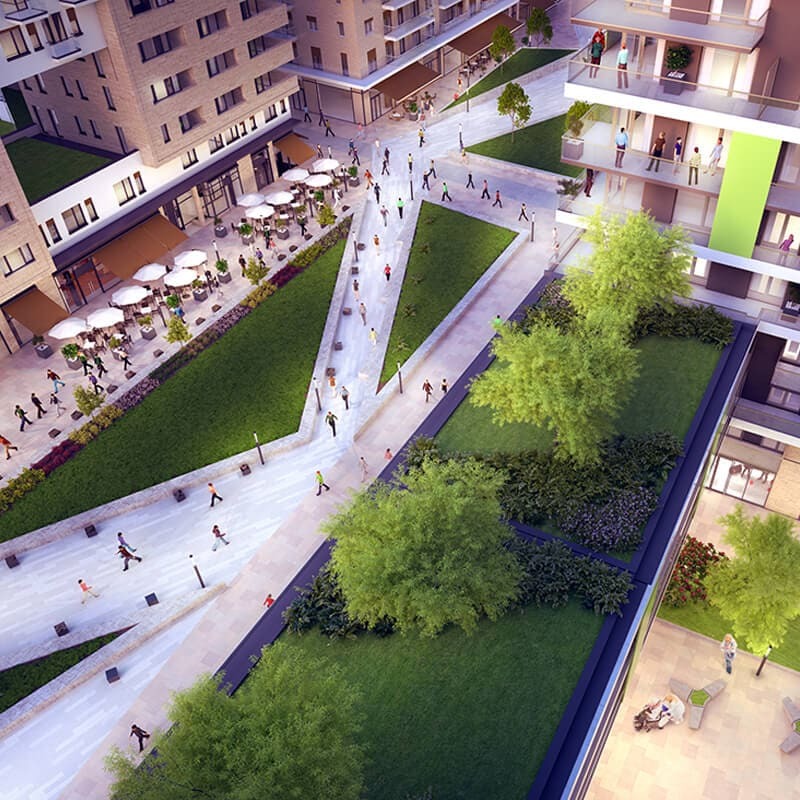 The inner garden areas of the residential and office buildings on the landscaped modern promenade offer a relaxing space to switch off and unwind. 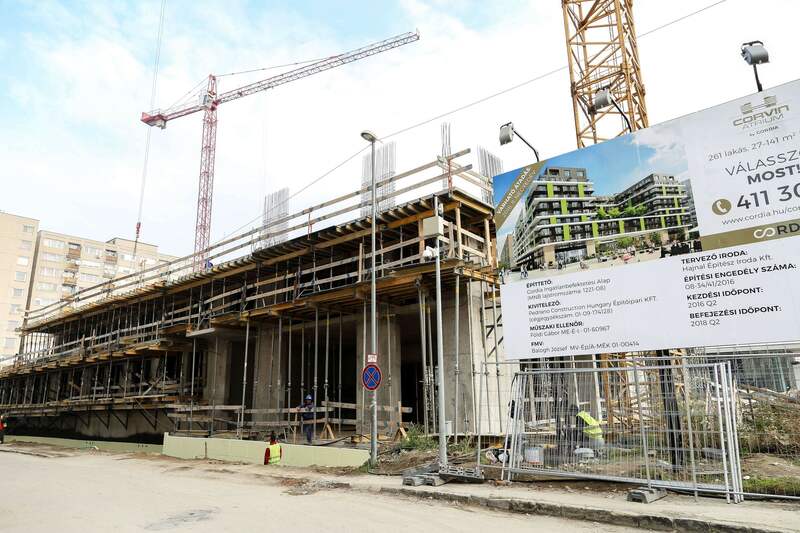 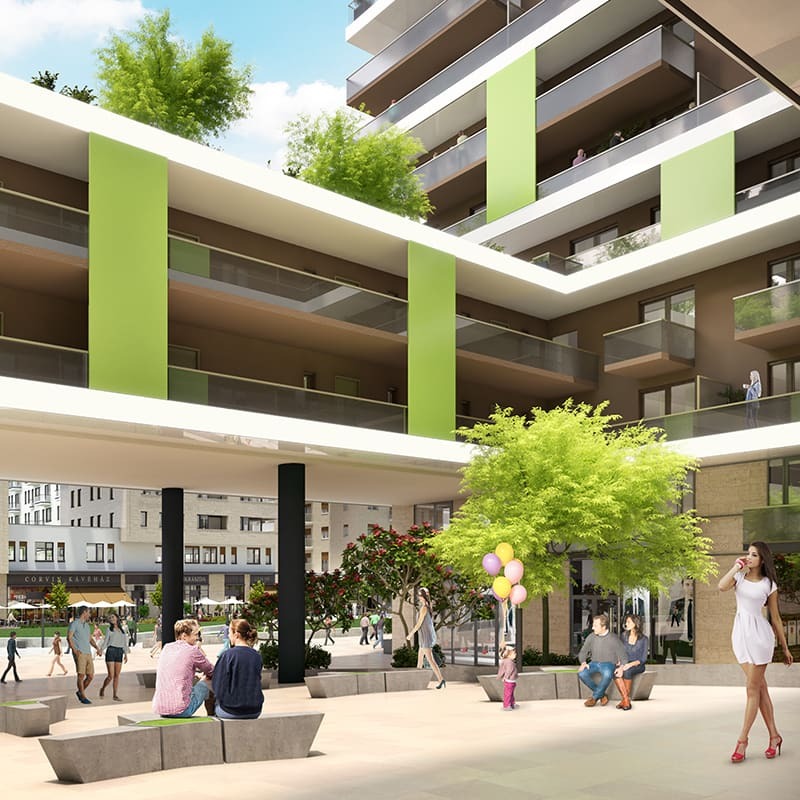 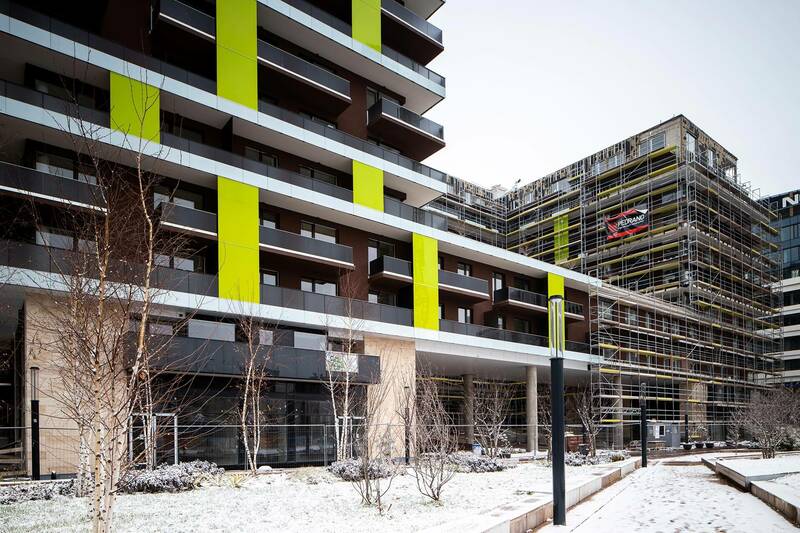 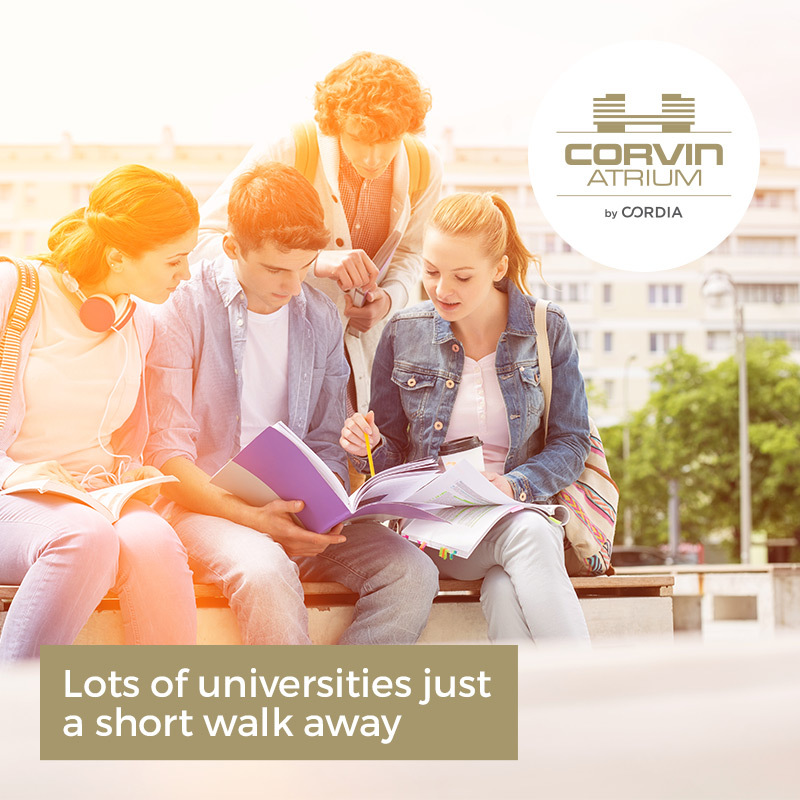 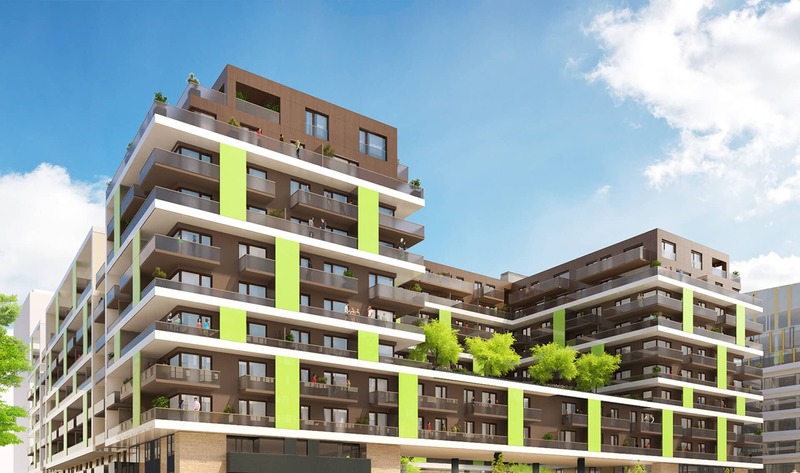 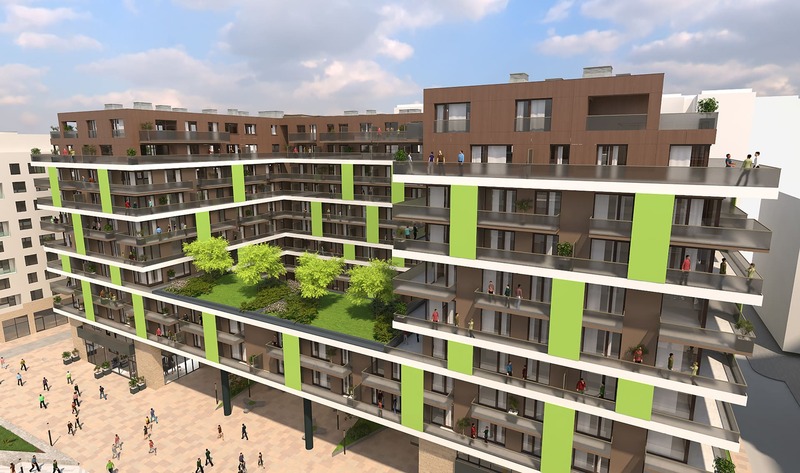 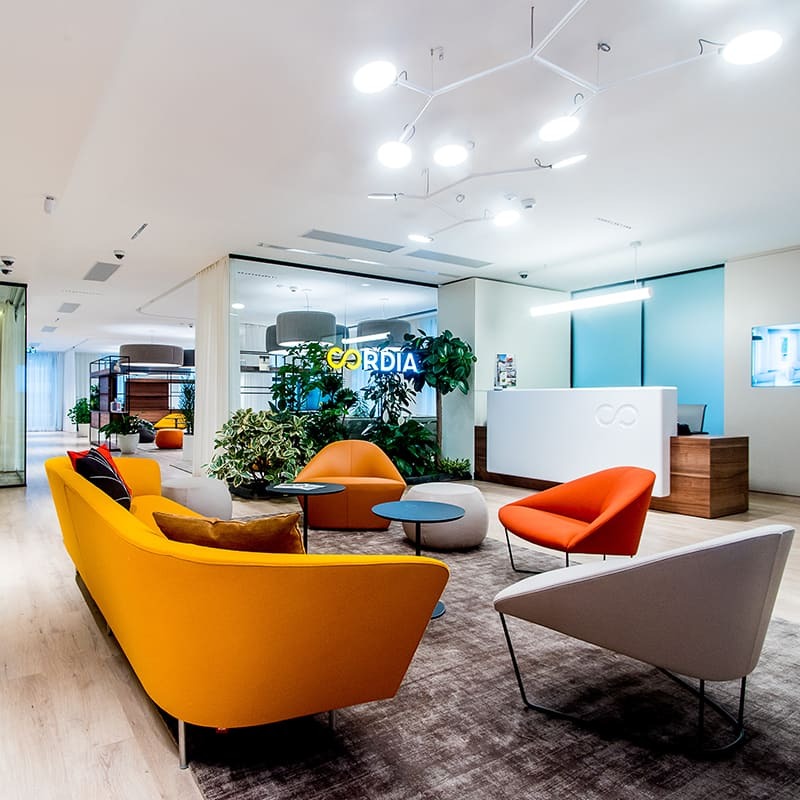 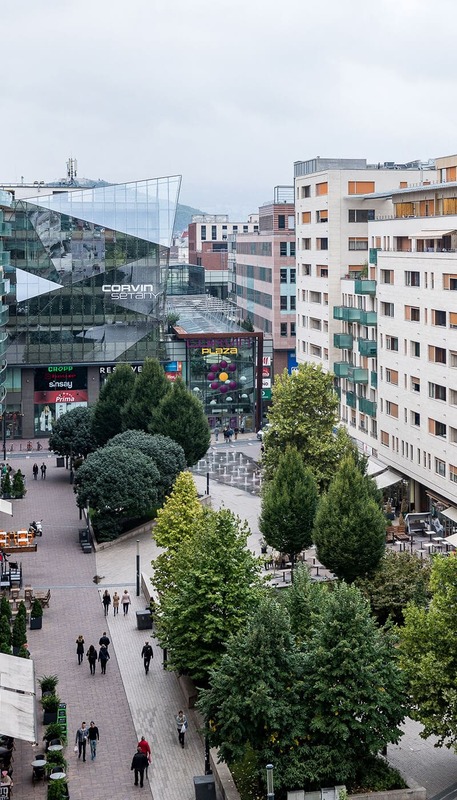 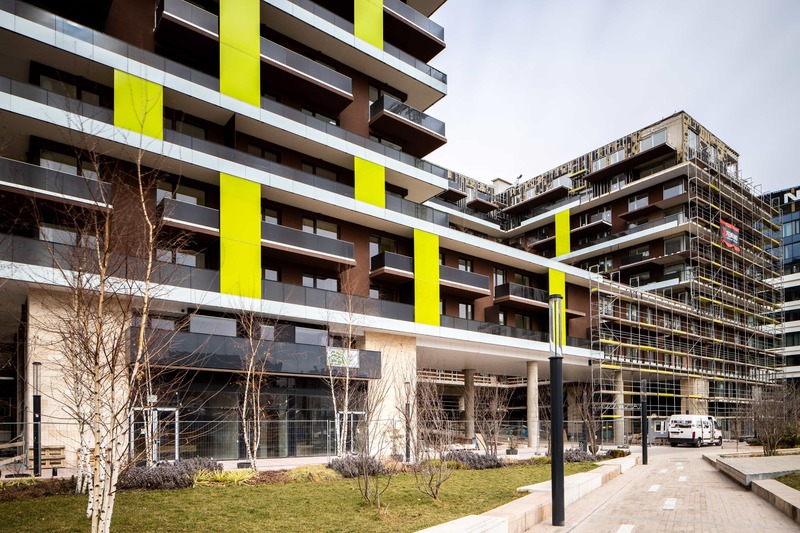 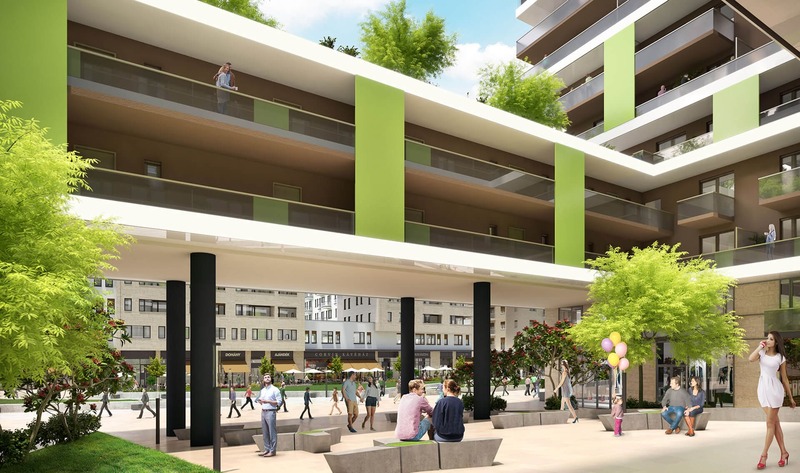 There are 36 buildings in the vicinity belonging to higher education institutions, making the Corvin Promenade an exceptional choice for Hungarian and foreign students who want to be close to the city centre without having to live in the most hectic area. 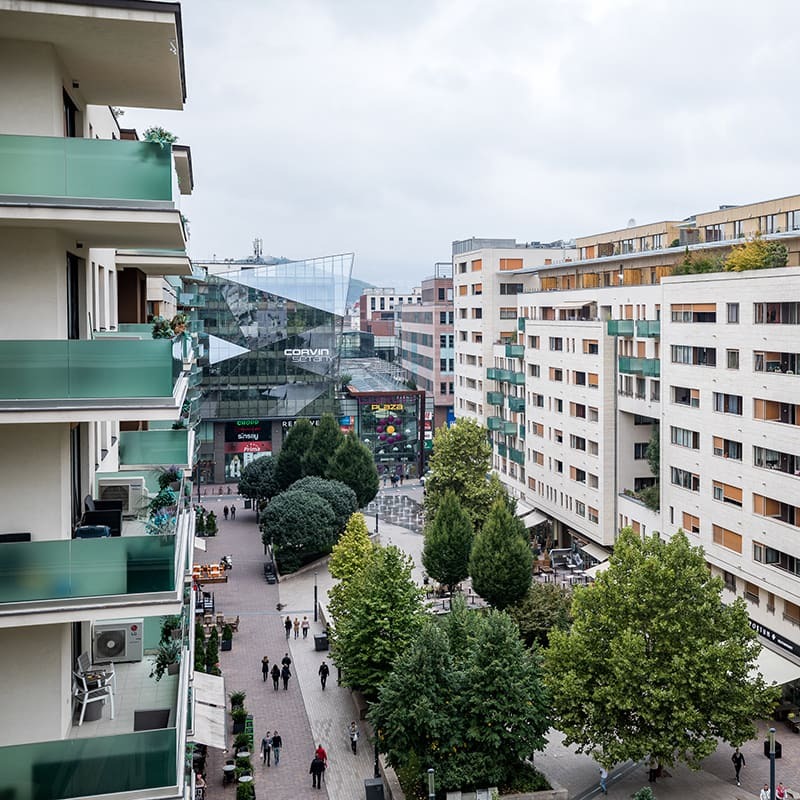 That’s why this completely renovated urban zone is one of the most sought after city centre locations for people who want to rent. 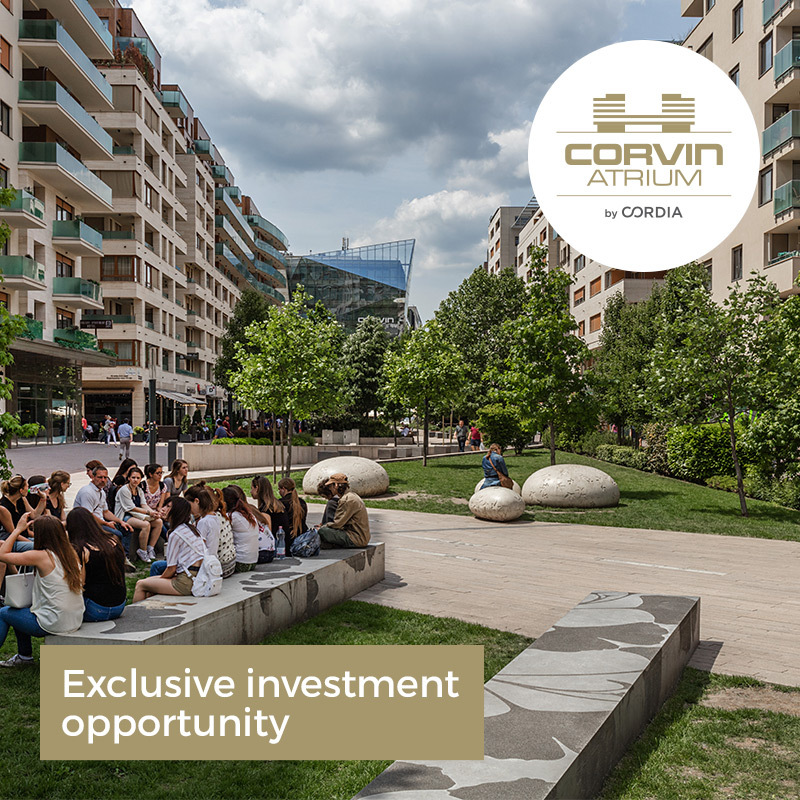 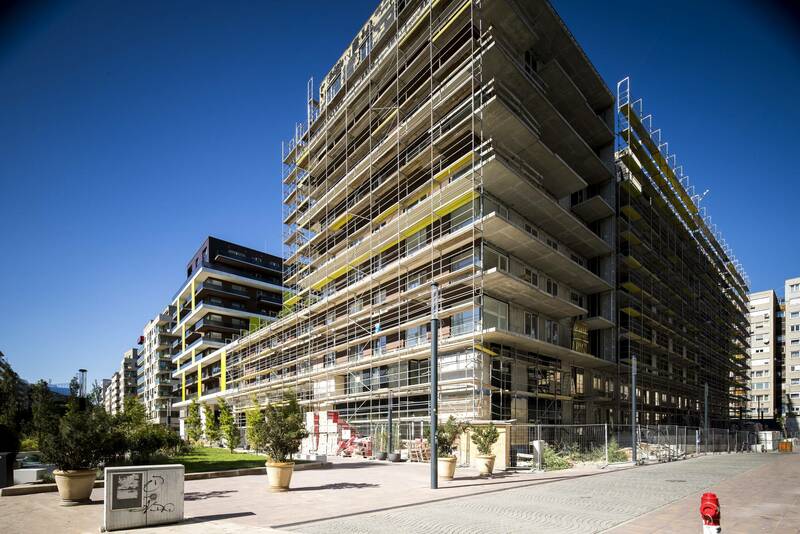 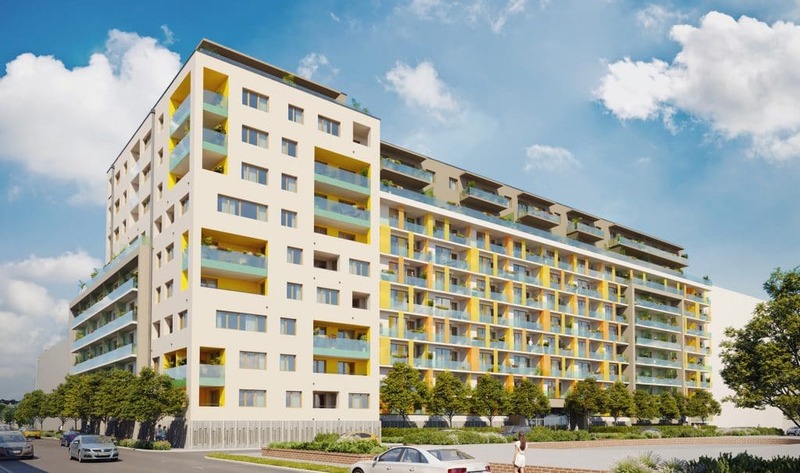 If you are looking for a property which is an exceptional investment opportunity and offers a superb rate of return, then the easy-to-rent-out apartments on the Corvin Promenade are the perfect choice, located in one of Budapest’s most sought after and successful areas for investment in real estate. 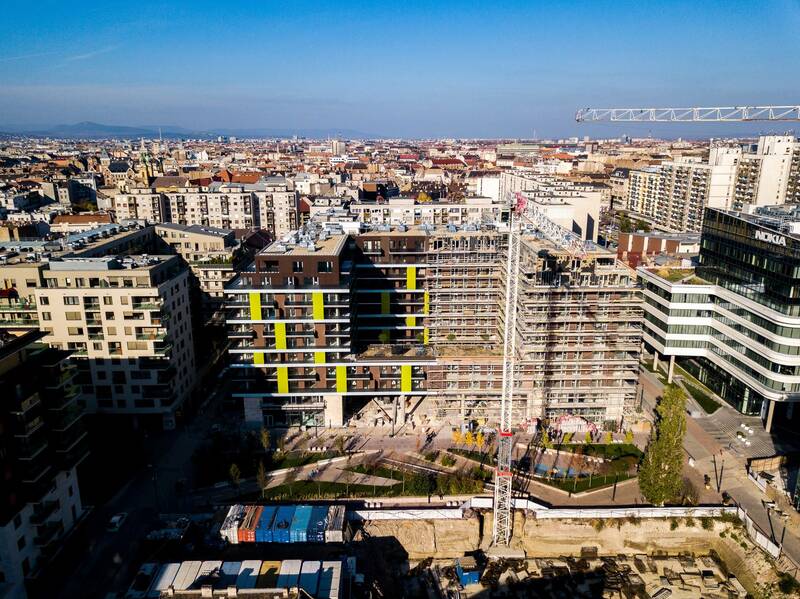 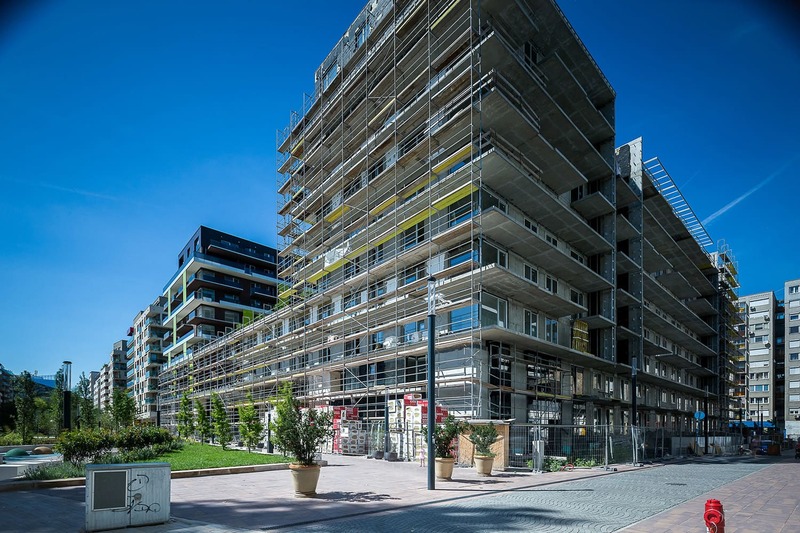 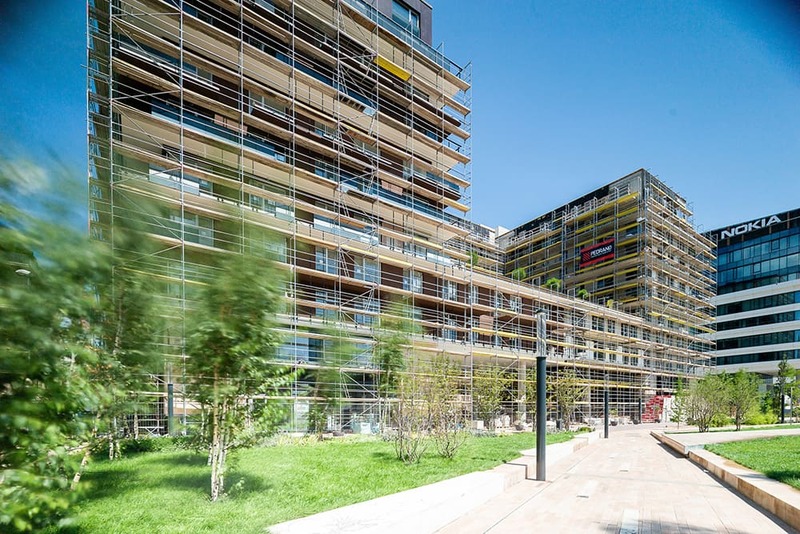 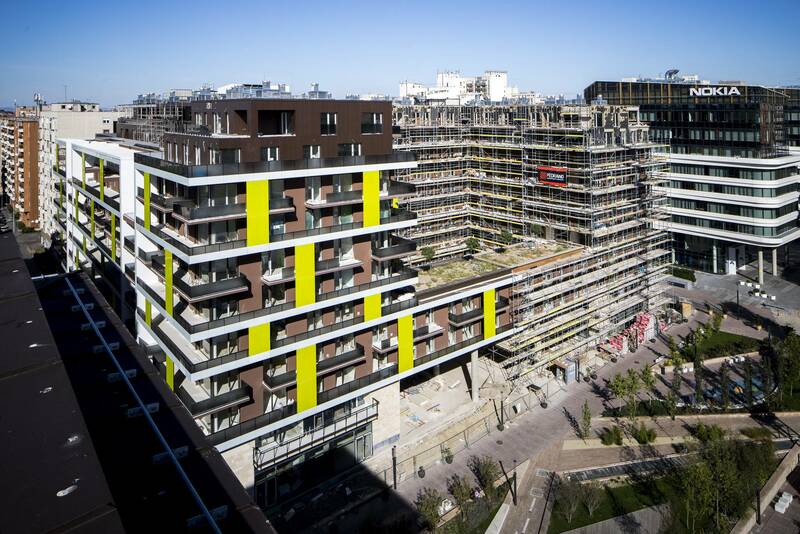 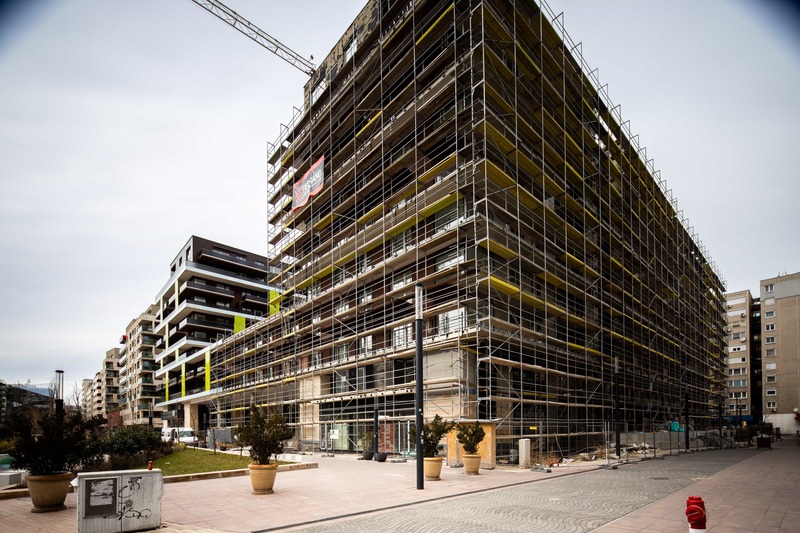 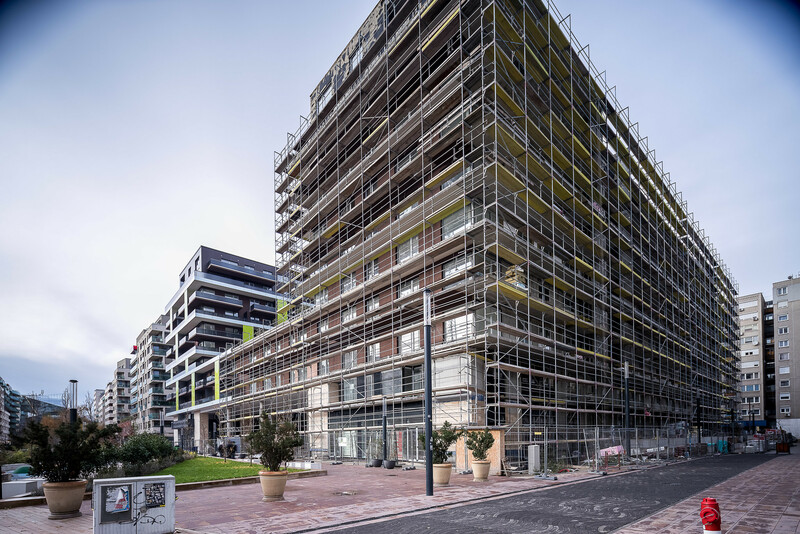 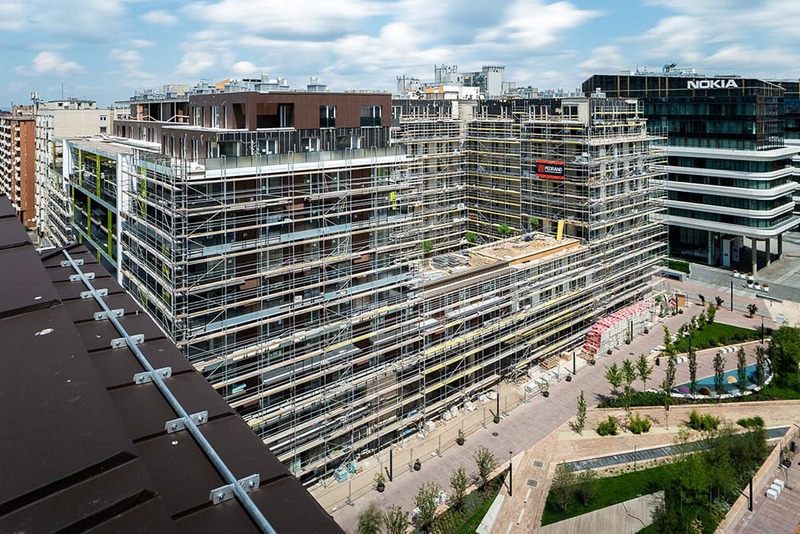 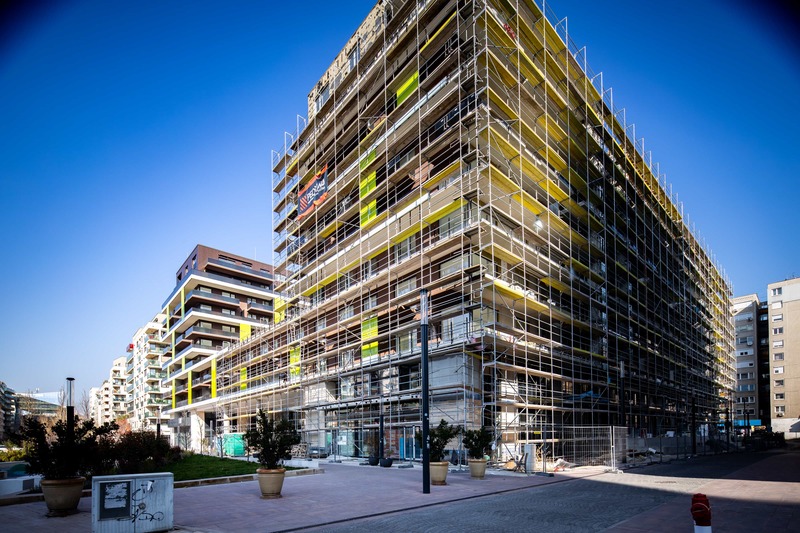 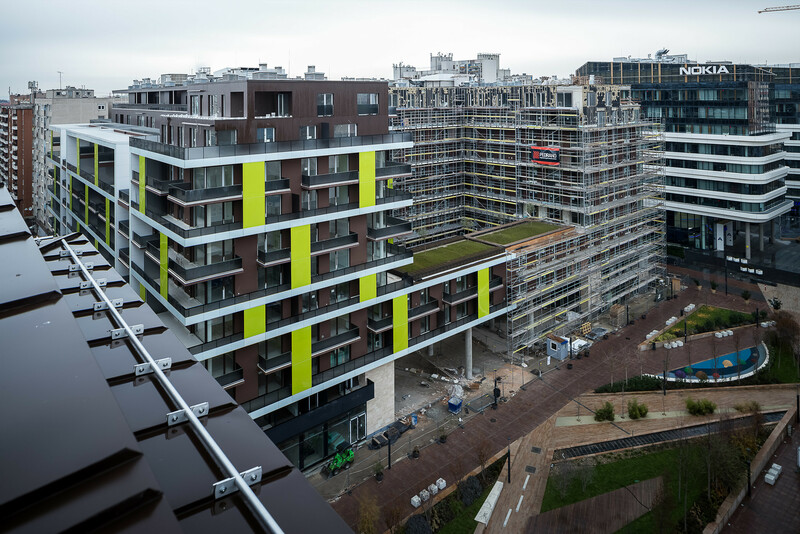 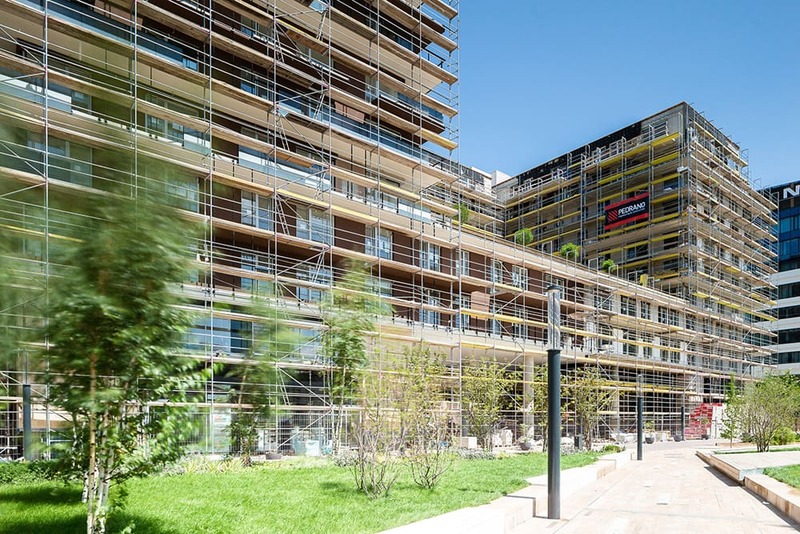 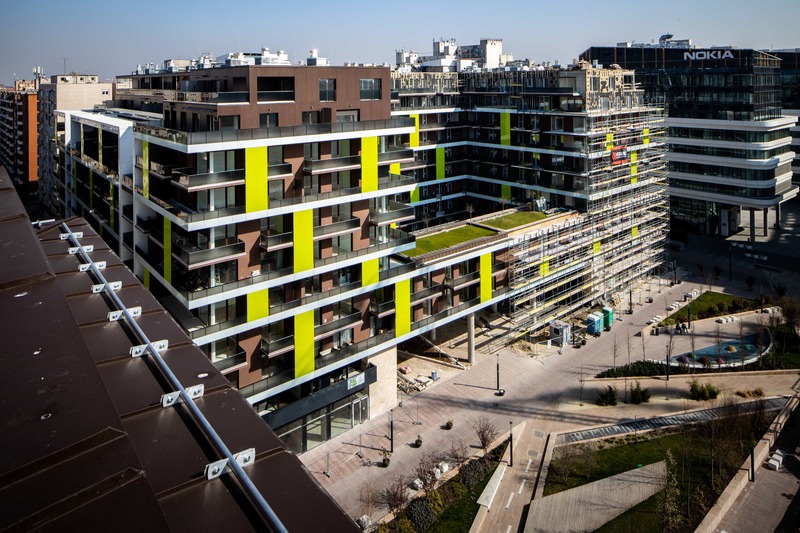 In the last ten years, the price per square metre for properties on Corvin Promenade has doubled, with rental income significantly higher than for other properties in the local area. 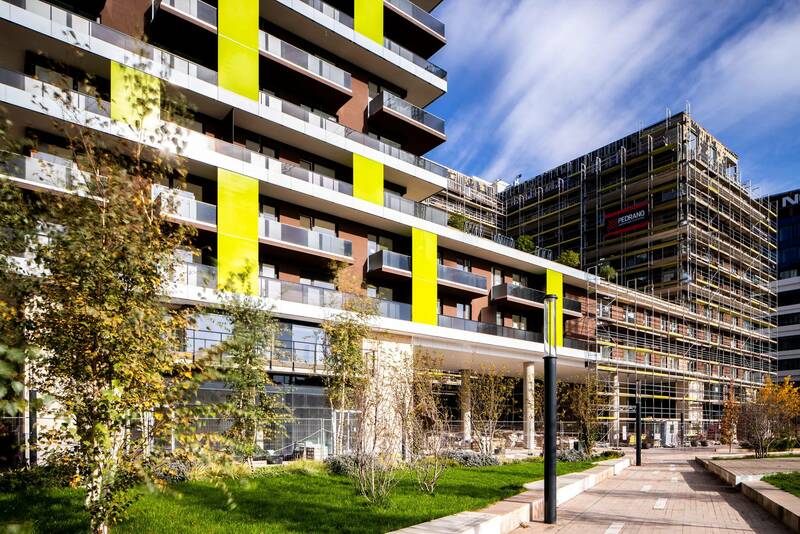 Visit our Central Sales Office to find out more about our apartment offers! 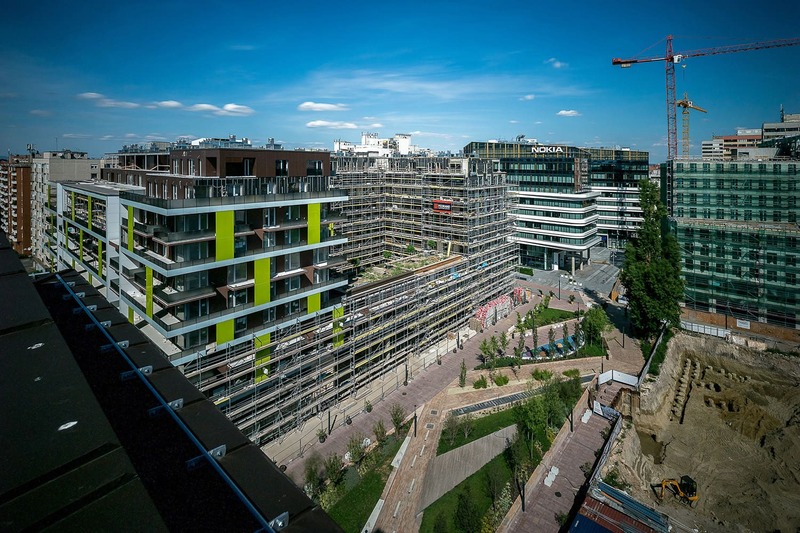 Take a look at our Panoramic tour! 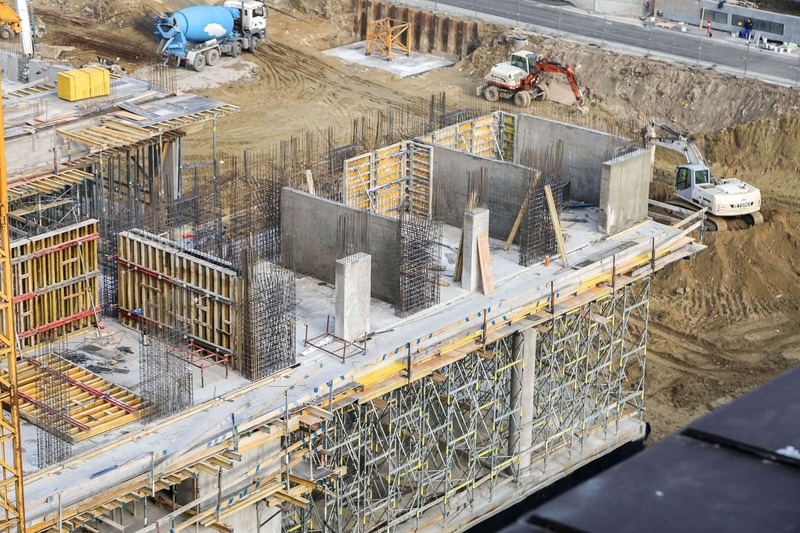 The entire foundations will be completed in the next few days, the construction of the basement walls is in progress.